This stamp set has thick foam with deeply etched rubber. The rubber stamps that can cling mount to any clear acrylic block. Made in OHIO, USA by Stampers Anonymous. The stamps are also neatly trimmed, deeply etched, magnificent quality and made in the USA. 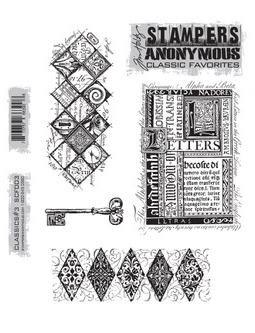 The stamp sheet measures approximately 7" by 8.5".